The workout tracker's water resistant digital models features a multi-segment digital display to improve readability and operation while engaged in sports.Daily health and fitness support functions include a 3-axis accelerometer that keeps track of your step count, a Multi-Timer that lets you create up to 20 timer combinations of five timers each, memory for up to 200 lap records. The app also makes it possible to maintain step count logs with five exercises intensity levels, to calculate calories you burn. GBD800 water resistant digital models features a multi-segment digital display to improve readability and operation while engaged in sports. The LCD is divided into upper, middle, and lower sections, and there is a digital dial in the upper right. Each display area shows different, measurement, timekeeping, and other information, which provides useful data about your daily activities. A metal front button and vapor deposition face add elegant colors for striking designs. 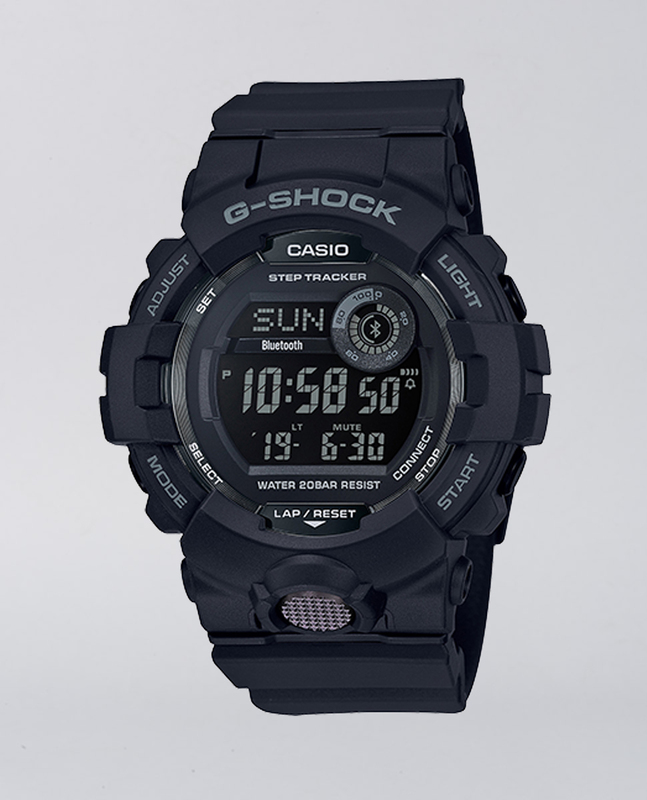 Function wise, these watches link with the G-SHOCK Connected app to provide access to a number of functions that enhance your workouts.